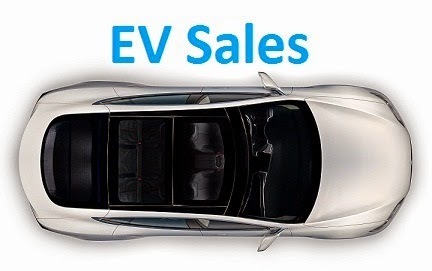 We start 2019 with good news coming from Sweden, with the local plug-in market up 53% YoY, to 2.665 registrations, pulling the PEV share to 13%, with the best part being that growth came from BEVs, that went up four-fold, while PHEVs grew just 2% YoY. Meanwhile, the mainstream market continues sliding, dropping 11% last month. And if we look only at tradicional ICE (diesel and gasoline) sales, the fall was even steeper, as both were down 16% YoY, with the current disruption not sparing HEVs (-6%), as another signal of the seismic changes currently happening. Right now buyers are running away from fossil-fueled vehicles (HEVs included) and going in a stampede-like movement into fully electric ones, but because BEVs are still model/production constrained, it seems people prefer to wait in line for a BEV, than to buy/lease another ICE-based vehicle. This is starting to become a trend, once a market is regularly at over 10%, the mainstream market starts to suffer and decline, as people move away from regular petrol/diesel vehicles. Looking at last month Best Sellers, after a couple of years being overshadowed by the now discontinued VW Passat GTE, the Mitsubishi Outlander PHEV returned to the leadership for the first time since 2016, with 465 registrations, tripling the number of registrations it had a year ago, while also allowing it to jump into #7 in the mainstream market. The Kia Niro PHEV, won the Second spot, with 285 units, while the Nissan Leaf closed the podium, with 264 deliveries. But the real surprise came in Sixth Place, with the Kia Niro EV delivering 175 units, in its first full deliveries month, being followed by two other Korean models, the #7 Hyundai Ioniq Electric, with 101 registrations, and the Kia Optima PHEV (96). In the manufacturers ranking, Kia started the year in the lead, with 24% share, while Volvo (18%) was Second, closely followed by Mitsubishi (17%). Nissan (10%) is a distant 4th, with Renault (9%), not far behind. Besides winning the Best Selling PEV title in January, the Outlander PHEV also managed to outsell regular hybrids, but that's not the only good news for plugins, as the Kia Niro PHEV and Nissan Leaf also got a spot on the Top 5, allowing them to outnumber HEVs here. Also a telling tale of the changes currently happening, the Kia Niro HEV was the slowest selling (114 registrations) of the Korean Crossover variants (BEV, PHEV, HEV). Do you see the writing on the wall, Toyota? Kia / Hyundai ~ 31 % market share noted. Great numbers indeed, yet nothing Tesla on Top20. Meanwhile, Toyota steadly marching to oblivion. WOW, No Tesla or GM in the Top 20. Must be waiting for the Model 3. GM in Europe? They have no presence here. The Model 3 will probably get into the top 5, at least top 7. The wait is for affordable wagons, hatchbacks and small SUVs. The Niro EV is the first one being fairly affordable and having a great form factor. Both Model S and X rise from January last year but as everyone that follow Tesla know first month each quarter is always a bad month. Let’s see how it’s in March and especially how many Model 3 that will be delivered. As for GM, they aren’t selling any EVs in Sweden at all. I think that Tesla take the opportunity of the ships transporting the Model 3 to Europe to be complete with Model S and X, instead of putting only some X and S in the last ship of 2018 to Europe. So the almost no S and X deliveries in January was expected, but for 2019, it's sure that the Model S will be down and also the X (even less) until Tesla give them a refresh.